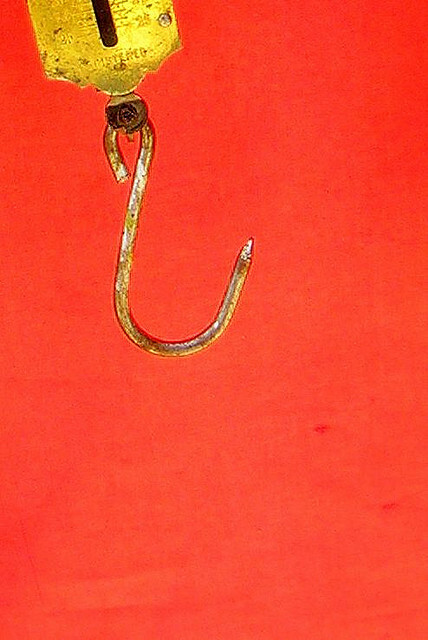 I’m at the stage in my writing where I’m pitching agents, so I’m still obsessing over my first chapters and this idea of how to “hook” your reader. Given that, on Saturday I attended a workshop at The Writer’s Center in Bethesda, MD called “Mastering the Hook.” There, I learned from Kathryn Johnson—a historical fiction novelist who has published over forty books—seven tools for drawing in a reader. First and foremost, something needs to be different in your story if you want to hook your reader. What’s the twist? Kathryn pointed out that the brain uses emotion to gauge what’s important to us. In fiction, this means your character’s reactions to adversity will show the reader what’s important to them. Put your protagonist in a difficult situation and show his reaction. What are your character’s fears? Needs? What do you want your reader to feel? We’ve all heard this before, but only because it’s important. Your protagonist needs a goal. An agenda. And we need to know what it is early in the story. What does she desperately want or need to achieve before the story concludes? What internal and/or external issues are preventing her from getting it? Discern what information the reader needs to know at the beginning. The tricky thing is figuring exactly what that is. Kathryn pointed out that while we believe readers need to know everything, in reality they require very little. One way to avoid the temptation of an information dump is to start the manuscript with the character doing or reacting to something. Specific details enable the reader to visualize your story, which is necessary if you’re going to hook your reader. Consider how can you make your scenes as real as possible by using precise descriptions. As I mentioned in # 2, your characters must face their demons and react. And eventually they must resolve the problem. Figure out the central conflict in your story and make sure it’s clear at the beginning. Tom Clancy and Mark Twain said it- fiction has to make sense. There needs to be a cause and effect in your story. Would your character do XYZ in light of who they are? Kathryn used the example of one of her students who had his main character, who was a “desk jockey” who did nothing but type all day, suddenly able to climb a treacherous mountain. It simply didn’t make sense that he had those skills. Thankfully, this was easily resolved by giving the character training. Still Need Help Hooking Your Reader? As with a lot of writing advice, most of these things are easier said than done—thankfully there are places you can turn for even more advice! Kathryn was heavily influenced by a book by Lisa Cron called Wired for Story: The Writer’s Guide to Using Brain Science to Hook Readers from the First Sentence. I read the opening chapters in Barnes & Noble, and it states that while technical writing ability is important, to get the reader to turn the page, you have to tell a good story. Her example? The Da Vinci Code—didn’t really have great writing yet sold millions of copies because it told a good story. May be worth checking out. Who do you think is the best story teller? Take fifteen minutes to write a story, keeping these tools in mind. Share with us below!